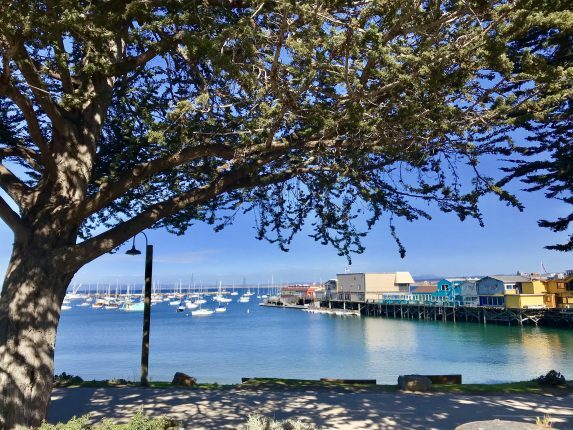 As many of us know the Monterey Bay Area is one of those special places that many instantly fall in love with, but what really makes this destination so special, is the natural beauty and ease of getting around. In the spirit of Valentine’s Day with love a plenty in the air, we are excited to share the 10 Things We Love About our home, beautiful, Monterey, California! 1. The views– literally every where you go, there is a majestic view. Whether it be ocean, pine tree forests, rolling hills or quaint adobes, there is always something gorgeous to set your eyes on. 2. 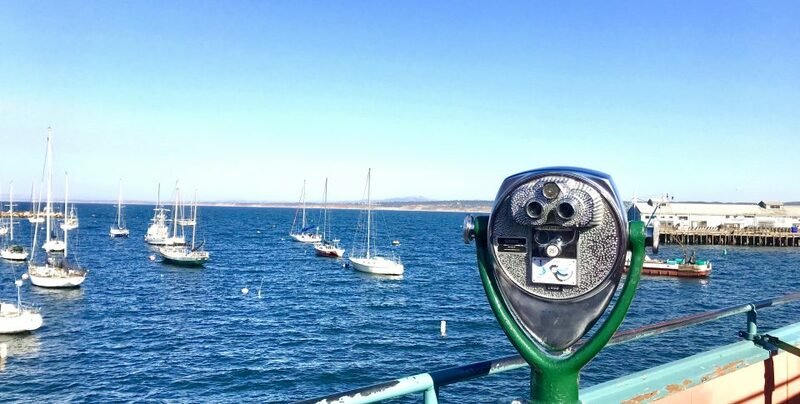 The wildlife – whether taking in the magic of sea creatures and birds at the Monterey Bay Aquarium or gazing at whale tails and spouts – natural truly surrounds us here in Monterey. 3. The Coastal Recreation Trail – located just outside our doors here at the Portola Hotel & Spa, this recreation trail allows you to walk, bike, skate or run along the beautiful Monterey Bay National Marine Sanctuary. 4. The locally sourced food – with seafood in abundance, as well as fresh fruit and veggies, the Monterey Peninsula is a foodie’s dream location. We are proud to be a part of the Monterey Bay Aquarium’s Seafood Watch Program® and feature locally sourced ingredients at our restaurants here at the Portola, including Jacks Monterey and Peter B’s Brewpub. 5. The service – with hospitality being one of the leading industries in our local region, the phrase “at your service” rings very true! 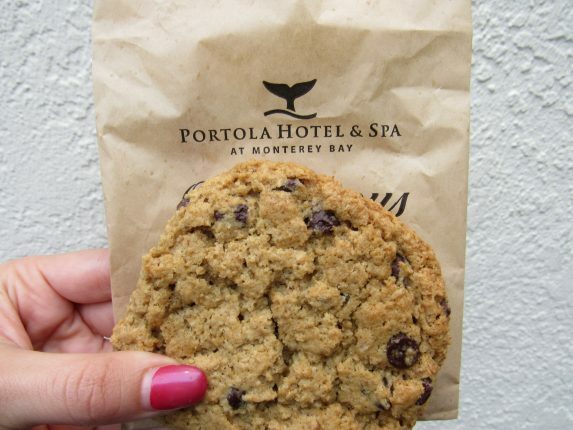 A perfect example are the warm, homemade chocolate chip cookies each and every hotel guest receives at check-in here at the Portola! 6. The wine – Monterey County is quickly becoming known as one of California’s best regions, producing some of the country’s and even the world’s finest wines. With boutique tasting rooms and wineries located throughout the Peninsula and the County, we invite you to raise a glass in Monterey! 7. 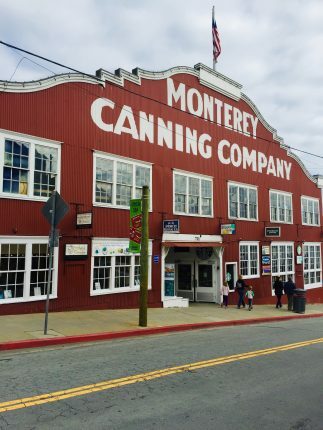 The history –Monterey is filled with a colorful and charming history. 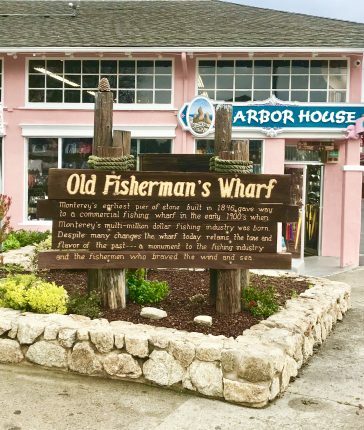 Tour adobes, discover Old Fisherman’s Wharf, visit the Carmel Missions, explore Colton Hall, walk the Path of History, tour John Steinbeck’s Cannery Row and step back in time as you experience the rich, historical relevance of the Monterey Bay Area. 8. The cultural arts – with a bounty of art museums and galleries, as well as live music and theater venues; many in walking distance to the Portola Hotel and Spa, a feast for the senses awaits. Tour the Monterey Museum of Art, the Pacific House Museum, or catch a live concert or show at the historic, Golden State Theater. 9. The climate – boasting moderate temperatures throughout the year, Monterey is the ideal escape during cold winters and balmy summers. Average temperatures from 50 degrees to 70 degrees, with September, often times being our warmest month. 10. The beaches – our seaside community boasts some of the world’s best, white sand beaches. 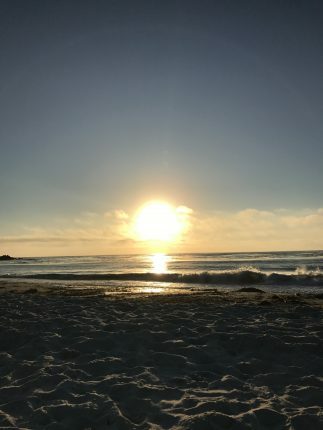 From Lovers Point Beach in Pacific Grove to Carmel Beach in Carmel by the Sea, our beaches are simply beautiful. Spend a day dipping your toes in the Pacific or set up a sunset beach picnic and experience some of the most beautiful sunsets you will every set your eyes on. It truly is All Right Here in Monterey! Hope to see you soon.